When you need some amplification on the go, Boomz Audio delivers. Its small, candy-colored speakers are designed to connect to any smartphone, laptop or tablet so you can listen to your tunes -- and share them with friends -- without having to wear earbuds. The Boomz speaker is mini in size, but packs a mighty punch. It’s easy to toss in your bag or backpack, and it’s a great fit for space-constrained places like a dorm room or office. Another nifty feature is that it functions as an all-in-one portable MP3 player. Using a micro SD card (not included), you can upload your music directly to the Boomz device, so you can listen to tunes without being tethered to your smartphone or other media player. Having your music library accessible from a smartphone or tablet is convenient, but the sound quality of most mobile devices is disappointing. 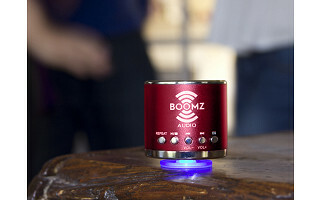 That’s what inspired Vince Khristov, the founder of Boomz Audio, to create his mighty mini speaker. Boomz gives the audio boost our smartphones need, and it gets the job done without sacrificing mobility. Hi Everyone! I’m so glad to have our Boomz Audio Speakers featured as today’s Grommet. At BOOMZ Audio our goal is to provide our customers with quality audio products that go beyond what is currently available. When we first developed BOOMZ we knew we had a hit on our hands – and not just because we liked what we heard – BOOMZ consistently amazes everyone who hears it. I am here and would love to answer any questions you may have for me today! @Beth Thompson Hi Beth! We are working something out so that you can hear the great quality of the speakers…so stay tuned for more videos :) Thanks! @Beth Thompson Hi Beth! We have uploaded a YouTube video that will be able to give you a better idea as to how strong the speakers are. We think they are pretty great! @Beth Thompson Have uploaded the video, however it's important to note that this video will still only display the sound depending on how good your computer speakers are. Unfortunately we aren't able to replicate the exact experience, but you should be able to get an idea. Great - thank you so much! That really helps!! 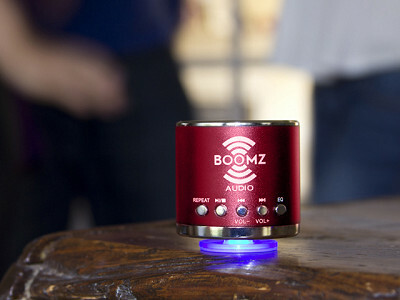 Boomz Audio, what an amazing little device.......but.....why no shipments to Canada? Do we not deserve affordable,cutting edge audio technology north of the border? Does the draconian shipping policy apply to all Daily Grommet products? @ mike hart Hi Mike - thanks for the strong support for our site and Boomz Audio! Nope it's not a site-wide policy for Canada. Shipping varies from product to product based on the partner's shipping policies. Unfortunately this partner is not able to ship to Canada. @ mike hart Hi Mike - Thanks for your strong support for our site and today's Grommet, Boomz Audio. It's not a site-wide Canadian shipping policy. Shipping varies from product to product based on the partner's shipping policies. Unfortunately this partner is not able to ship to Canada. 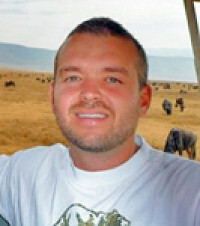 @ mike hart: Hi Mike - thanks for the strong support for our site and Boomz Audio! Nope it's not a site-wide policy for Canada. Shipping varies from product to product based on the partner's shipping policies. Unfortunately this partner is not able to ship to Canada. @ mike hart Hi Mike! Thanks for the comment! We would love to ship to Canada if we could, but unfortunately we have yet to jump through all of the international shipping barriers. However, I don’t believe this restriction applies to all Grommet products. The shipping policies are as unique as the great products featured on the Daily Grommet. Please redo the video introducing this product. There was no sampling of the sound quality of this item so I wouldn't purchase it even though it was something I have been looking for. I LOVE The Daily Grommet and tell everyone about all the awesome helpful and interesting products on your site! We have uploaded a video which displays the sound of the speakers, however it's important to note that this video will still only display the sound depending on how good your computer speakers are. Unfortunately we aren't able to replicate the exact experience, but you should be able to get an idea. I am a not teck savy Grandmother---Would this work with an IPOD????? @ Lydia Faber It sure will! Just use the included 3.5mm auxilary line and you can hook it up to your iPod. Are there any ratings or reviews on this product? @ Rhonda Hammond Hi Rhonda, all of our Grommets go through a rigorous review process internally. Our entire team has reviewed and tested this product, ensuring it meets our high standard of quality. Does this come with the required cable to hook up to a smartphone or Kindle Fire? @Nancy Kopfhammer Hi Nancy, this does come with the two male ended audio cord to plug into your smartphone or tablet which allows you to hear the music. It is in the box with the charging cord and the instruction booklet. Thank you for your question. @ kim Hi Kim! An SD media card can cost anywhere from under $5 to over $150 depending on the capacity and speed. The more music it holds, the higher the price. As for the sound quality comment, it's hard to replicate exactly how strong the speakers will be when you are listening over your computer, aka watching the YouTube video. @ kim Hi Kim! Great questions! Yes you are right, the sound will depend on the quality of the music recorded, but it also depends on the output of your device. The output of our device can be measured by the quality of the sound your device creates. For example, if you have a computer from 1991 it may not create (or output) the same sound as a 2012 computer. As for SD Cards, you can find them at many different prices. The price will depend on how much memory you can store on the SD card and how fast the data writes (or copies) onto the card. But you don’t need an SD card to use a Boomz Speaker, you can hook up your device directly to the Speaker. Hope that helps! Thanks! When you need some amplification on the go, Boomz Audio delivers. Its small, candy-colored speakers are designed to connect to any smartphone, laptop or tablet so you can listen to your tunes -- and share them with friends -- without having to wear earbuds. The Boomz speaker is mini in size, but packs a mighty punch. It’s easy to toss in your bag or backpack, and it’s a great fit for space-constrained places like a dorm room or office. Another nifty feature is that it functions as an all-in-one portable MP3 player. Using a micro SD card (not included), you can upload your music directly to the Boomz device, so you can listen to tunes without being tethered to your smartphone or other media player.